A smaller, Swarovski crystal-encrusted heart rests within a larger plain heart. 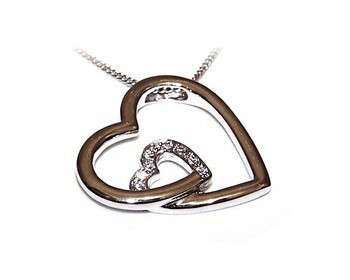 A delightful symbol of two hearts entwined as one! Size: Pendant Drop: 30mm Width: 30mm On Sterling Silver Snake Chain.